Fond Blanc - or Fond Blanc Ordinaire - is French for ordinary white stock - so this version is a chicken stock that you would use in places where a darker 'Fond Brun' or roasted stock would have a flavour that's too overpowering. After cooking (and cooling) scrape off and save the chicken fat! It is great for cooking in other recipes or when pan frying. 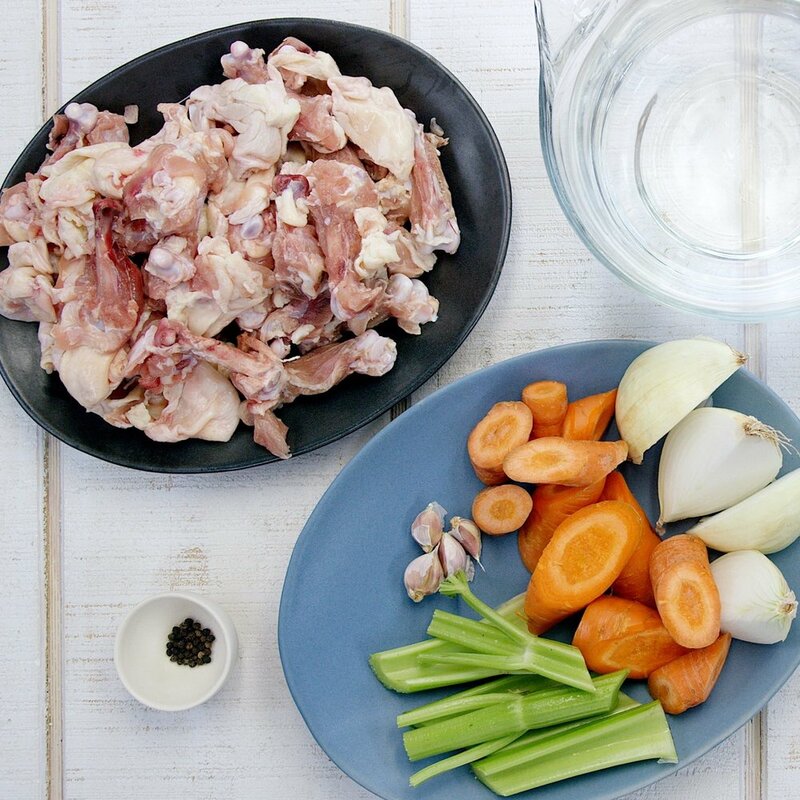 Easy ingredients and a pressure cooker will give you a lightly flavoured chicken stock that you'll be able to use in many other recipes.